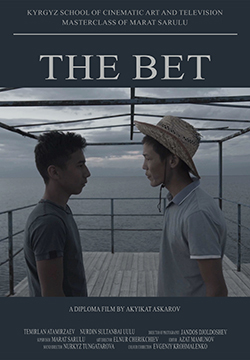 In a village on Lake Issyk-Kul an eighthgrader suffers constant bullying from the high-school students. He makes a bet to swim across the lake against the leader of older boys. Born in Naryn. Studied. Graduated in 2011 from the Institute of Architecture and Design. In 2015 graduated as director from Kyrgyz Higher School of Cinema and TV .